Muslims are today’s castaways, political orphans with no home, for virtually every political party. This despite India being home to a tenth of the world’s Muslims, around 180 million people, making it the largest Muslim country after Indonesia and Pakistan. There has never been a harder time to be a Muslim in India, not since the stormy months that followed India’s Partition. It was only the blood of the Mahatma spilled 70 years earlier which then stilled the feverish communal hate that had engulfed the land. But today the large majority of Indian Muslims feel even more profoundly alone and abandoned. But what creates even greater despair is the growing sense that Muslims in Indian politics have been rendered politically irrelevant. Worse, many consider that they are now politically untouchable. The BJP has become the first ruling party since Independence without a single Muslim MP in the Lok Sabha. Open expressions of hatred and bigotry against Muslims have become the new normal, from schools to universities, workplaces to living rooms, Internet to political rallies. Even worse, they’re forced to live with the everyday fear of hate violence. Muslim parents caution their children — don’t respond with “salamalaikum” when we phone you in a train; don’t wear a beard or skullcap or hijab; even if someone abuses you, don’t fight back. Public lynching carries the unassailable social message that Muslims are second class citizens: Video-taped by the lynch mobs and triumphantly circulated, police typically responds by arresting the victims instead of the attackers. But what creates even greater despair is the growing sense that Muslims in Indian politics have been rendered politically irrelevant. Worse, many consider that they are now politically untouchable. The BJP has become the first ruling party since Independence without a single Muslim MP in the Lok Sabha. In the 2017 UP and Gujarat elections, it didn’t field a single Muslim candidate. It brandishes its political ambitions to build a massive social alliance of all Hindu castes, Adivasis, and even — in Northeast India — Christians, all ranged against the country’s Muslims. But now it is not just the BJP that shuns Muslims. Most political parties are accepting the premise that the majority Hindu vote will sour if a party is seen to be close to Muslims. 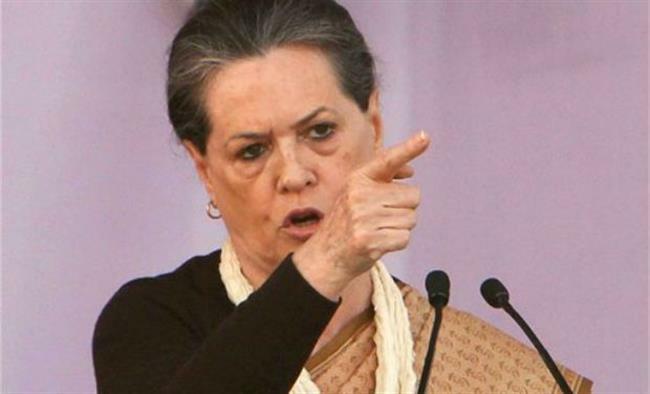 In her 19 years of leadership of the Congress, Sonia Gandhi never faltered in her secular convictions. But when even she declared recently that the Congress suffered because the BJP persuaded people that it was a Muslim party, many Muslims felt their expulsion to the political wilderness was complete. The advice that many speakers offer in the gatherings is for Muslims to voluntarily withdraw from politics. In one meeting, a well-regarded former Congress MP circulated a note: Shedding pretensions of development, “the BJP is still able to survive on their hate for minorities, which they market way too well”. The Opposition, he adds, has also “realised that minorities are fast becoming a burden and slipping into political oblivion”. Minorities have become “a taboo for the big parties” which seek to “dissociate with any step that can come across as minority appeasement”. This “shows us what is in store in the future”. It is for Hindus to decide now, he believes, “whether they want India to become a Hindu Rashtra or remain secular”. But, for this, Indian Muslims “owe this to our secular Hindu counterparts to step down from the political arena altogether and let the battle be between issues that affect all Indians as individuals because we must understand that our very presence in the electoral fray leads to communal polarisation”. I hear this same troubling counsel of despair repeated in every gathering. That Muslims must stay away from politics, some say, for a generation. Become invisible. Don’t seek political office. Don’t campaign. Just keep a low profile. At best, vote quietly on election day. To liberal Hindu friends, they say: To protect us, abandon us. It appears, at least for the present, that the BJP has succeeded in a toxic majoritarian reordering of the rules of India’s political game. Muslims are not just irrelevant; they are the political bogeyman, whose visible support will frighten away all other voters. The BJP needs only to float the rumour that the Congress will make a Muslim leader the chief minister in Gujarat to stir panic and a scramble in Congress ranks to assure voters this is a falsehood. It is not as though large states in India have not had Muslim chief ministers, and there is no reason why they should not continue to occupy this seat if they so deserve. Indeed, India should one day have a Dalit, Muslim or Adivasi Prime Minister. Why should this be inconceivable? Why should it frighten non-Muslims? Londoners have elected a very popular and personable Muslim mayor of Pakistani origin. The time has come for us to combat the anguish, which envelops our Muslim sisters and brothers. The idea that standing with or for or behind Muslims will repel other Indians derives from the conviction that the popular Indian common sense is today majoritarian. That Hindus of every caste, class, gender and region, other religious and ethnic minorities and Adivasis, all are compelled by a common hatred of Muslims. I spend a lot of time in my work with ordinary people across India, and know that this is simply not true. The poisons released by the RSS into the veins of Indian social life are powerful, addictive and heady. But India is not, cannot be, divided into Muslim people on the one side, and all others on the other. Love, friendships, work, shared cultures, shared dreams, shared fears, all bind people together in ways that manufactured hate has not shattered. But if liberal political parties also surrender to this majoritarian common sense it carries the danger of ultimately becoming a self-fulfilling prophecy. Instead, political parties and ordinary citizens must affirm stoutly that Muslims are equal citizens in every way, integral to India’s imagination, its creation and its future. They need no one’s permission to choose their leaders, campaign for those they support, and indeed to lead. To push them into the shadows of our political society would not just diminish them. It would diminish each of us, irredeemably.